Product prices and availability are accurate as of 2019-04-22 17:02:03 CDT and are subject to change. Any price and availability information displayed on http://www.amazon.com/ at the time of purchase will apply to the purchase of this product. 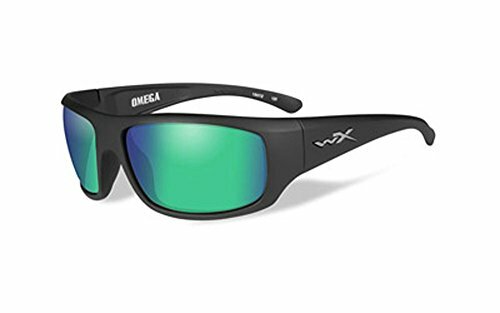 Combining ultimate comfort with heavy-duty optical protection, the Wiley X Omega is perfect for intense activities. These glasses feature proprietary polarized lens technology, which delivers unparalleled visual clarity and contrast by combining 99.9% polarization with complete UV protection. The frame is made with a non-slip rubberized nosepiece and temple gloves to create a secure, yet comfortable fit. These glasses offer OSHA rated shatterproof protection, and exceed ANSI Z87.1-2010 standards for optical and high-velocity impact safety. A strap, case and cleaning cloth are included for added functionality. For those who work hard and play harder, these glasses get the job done.